With a personality as unique as his art, Jose Perez has painted his way through life. His paintings are his voice, his method of expressing himself, his commentary on society. Born in Houston, Texas, on June 30, 1929, of Mexican parents, Perez moved with his family to Mexico when he was five years old. Returning to the United States as a teenager, Perez swam across the border carrying the papers which proved he was a U.S. citizen. His brother, also a U.S. citizen, had lost his papers and so talked Jose into swimming back to their country. This incident is a foreshadowing of the personality Perez was to become. Jose developed a sense of humor in his early years, and it's been an integral part of his life and his art ever since. Through years of working in menial jobs, through his struggle for recognition as an artist, through a bout with glaucoma -- through all the trying times of his life, Jose Perez has maintained his sense of humor. His career has evolved rather than developed. While Perez was working as a busboy, Mrs. Ruth Ford Van Dyke, owner and director of the Chicago Academy, noticed the drawings he had done on the backs of discarded menus. Mrs. Van Dyke invited Perez to study art at the academy, and, within a few months, under the guidance of Louis Grell, a noted muralist, Perez was given a scholarship. He also studied with Allen St. John and William Mosby at the American Academy in Chicago. Various events have interrupted his pursuit of art as a profession. In 1951, Perez was drafted into the army. After serving two years, he returned to the American Academy and studied art for another two years. He spent the next few years drifting from place to place, working at odd jobs -- as a strawberry picker in Oregon, a construction worker in Houston, and a factory handyman in Chicago. Then, in 1958, he wandered to Washington, D.C., where he found the art ambience stimulating and where he started to paint professionally. His first art commission was to paint a series of large paintings depicting the American Revolution for the Drummer Boy Museum in Cape Cod, Massachusetts. The confusion Perez had felt in earlier years evaporated when he began to concentrate on satirical art and pursue his profession seriously. His work is owned by a wide variety of art collectors in the United States and Europe. 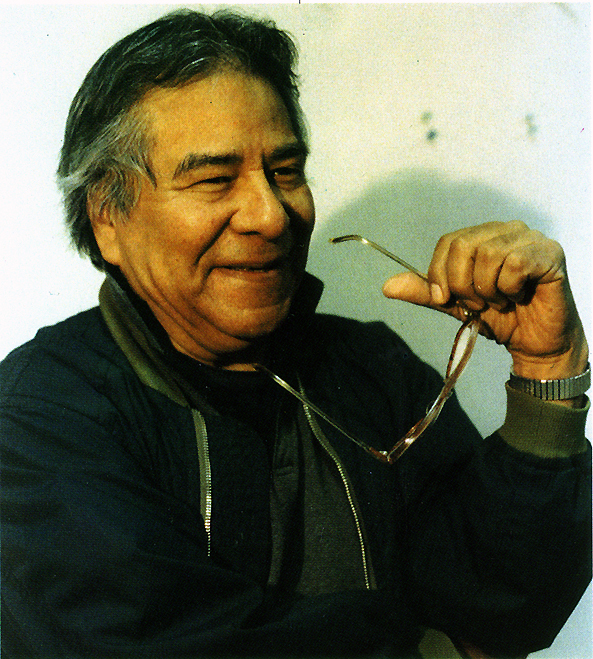 In 1981, Houston, Texas declared a Jose S. Perez day for its distinguished native artist. Perez says of his own work: "Satirical painting suits my need as an artist: The freedom to distort and yet remain in the spectrum of the fine arts. It is also my best way to communicate with my fellow man. The social comment, in which satirical art expresses it power, is without malice; it merely represents my personal view of the world as I see it, either from an historical point, the present, or the future." This is just a brief glimpse of Jose Perez. For a real introduction, take a close look at his art -- the eyes, the heart, and the soul of Jose Perez. Jose Perez lives with his wife, Mary, in Washington, D.C. At present, he is working on two series of satirical paintings, one of which, for the 1996 Olympics, deals with sports; the other, for the 1996 presidential election year, with politics. He has a book soon to be published, titled How to Draw the Perez Way, and he plans to devote the latter years of his life to a final, unique project -- painting his memoirs.